How to leave feedback for client and provider on freelancer.com? I am starting the 9th tutorial regarding freelancer. In the 7th and 8th tutorials I have showed you that how to post a project a project in freelancer and how to create milestone payment and how to release it. If you complete those two steps successfully, this step will help you. I’ll show you how to provide feedback after successfully completion of a project. Actually after completion of any work in freelancer, getting of money is not the main target. The review is important besides work. 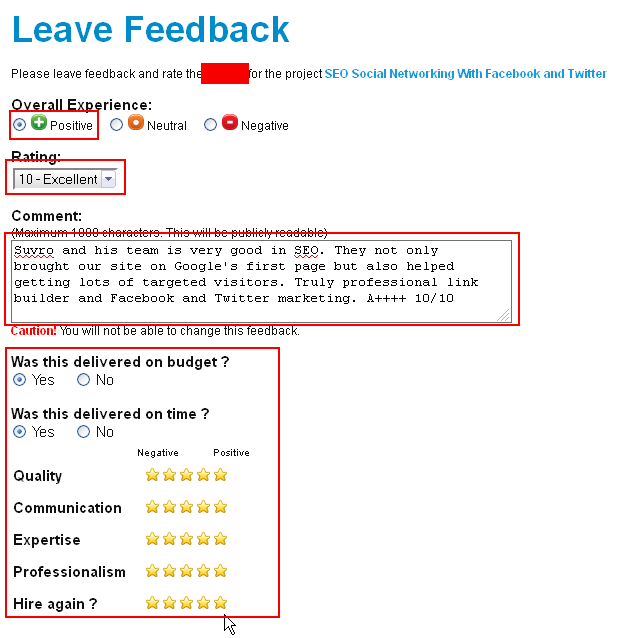 Because this, feedback will help you to get new work. Now a day it’s hard to handle works without review. Now come on the topics on how to provide feedback after successful completion of a project. 1. When you provide full payment to your providers, an image like below will appear successfully in your freelancer dashboard. This means now you can and should prove a feedback to your provider. From here click ‘rate now’. 2. On the next page, you will get some options. Select those options positively. I am showing you these things in the image. Just remember one thing, either you provide good feedback; you will also get good feedback. 3. You will get a private message option in the above page by which freelancer committee will inform you about your provider. So, always give positive feedback here. Your providers can’t see it. Only freelancer committee can see it. After end of writing, revise again if there is any error. Then click on ‘RATE USER’. 4. After clicking on ‘RATE USER’ your work is finished. 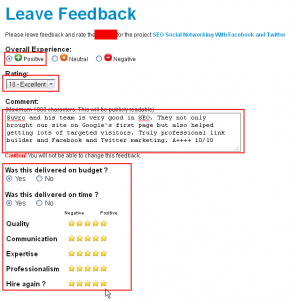 On the next page, you will get the feedback in your provider's profile and it will become public. That’s all. As a buyer, your work is finished. By same way, your provider/buyer/client/workers will also give you feedback. By this way, in future you can open project regarding other topics. Now you can provide feedback after completing all work. That’s all. We will get back with the last part of freelancer soon. For this time, be well and take care.